Alphege gains a throne, a queen, and a brother. An Irishman meets an enchanted princess and has to overcome obstacles to finally marry her. A brother and sister forsake their younger brother, who turns into a wolf. A cat and mouse cannot be in partnership for long, for nature will win out. The adventures of a hunter who finds magical cabbages, meets a maiden, and overcomes a witch’s plans. A youth steals a magic ring from a witch-maiden in order to slay a dragon, but suffers her punishment for the theft. The story of Fairer-Than-A-Fairy and the Rainbow Prince. A simpleton gains friends and a wife. How a poor orphan boy won a princess and prosperity. How a Prince overcomes a curse and is able to live happily with his bride. A prince overcomes a curse as a crab and an eagle. A beautiful youth overcomes his wicked brothers’ plans to get rid of him. How a tiny child found ways to overcome his size, grow rich, and live in prosperity with his parents. How six men with extraordinary powers win a treasure from a king. A prince travels to the Land of Souls to see his just-deceased bride. How the Prince of the Air found his way to the Golden Isle. A princess frees a prince trapped by magic in an iron stove, then has to travel far to find him and reclaim him. The adventures of King Peridor. Martin saves the lives of a dog and a cat and gains a magic ring. The ring wins him the hand of a princess, but she does not want to marry a poor man and has him put into a tower to starve, accused of witchcraft. But his faithful friends bring him the magic ring and food, and soon the King lets him out, and he forgives his wife. The Emperor learns to appreciate the nightingale. How a nixy helps a miller regain happiness. The adventures of Prince Ring. How a youth overcomes the seven-headed serpent who has demanded from his nation twenty-four young people each year. How a sister is ready to sacrifice everything to save her brothers from a curse. The difficult lives and unhappy end of the snow-daughter and fire-son. The life of a one-legged tin soldier and his paper love, a Dancer. A darning-needle takes on different jobs and has adventures. The adventures of Big Klaus and Little Klaus, and how one overcame the other. A step-daughter’s kind ways saves her and earns her riches, and a step-mother’s wicked ways kills her daughter and herself. How one brother overcame many trials and finally married his love. The many travels of Thumbelina. A soldier of unworthy morals becomes king by nefarious means. A wicked witch turns a queen into a duck and takes her place in the castle, but the white duck is finally able to free herself and save her children. A king must overcome a witch and restore his real queen. How a boy and a girl overcome a witch and get rid of their mean step-mother. Lang, Andrew. The Yellow Fairy Book. Lit2Go Edition. 1894. Web. <https://etc.usf.edu/lit2go/146/the-yellow-fairy-book/>. April 19, 2019. 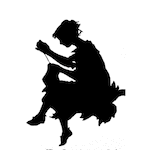 Andrew Lang, The Yellow Fairy Book, Li2Go edition, (1894), accessed April 19, 2019, https://etc.usf.edu/lit2go/146/the-yellow-fairy-book/.